Autumn weather with rain now and then but snowfall in higher grounds, which means ice/snow on roads in higher grounds and difficult driving conditions on times. Winter conditions on many roads in the Westfjords, North Iceland (Borgarnes to Akureyri), North East Iceland (Akureyri to Egilsstaðir) and other roads on higher grounds. Winter tires are recommended and show caution when driving. Gullfoss: The paths can be icy/slippery because of night frost. Please stay on marked paths. Snæfellsjökull National Park: It has snowed on the Snæfellsjökull glacier and the fresh snow hides the old cravasses, so going there without a guide is highly not recommendet. Road 570 closed/impassable. Goðafoss: Nothing remarkable about the conditions for autumn/winter conditions. Mývatn: Roads in the area are icy and slippery. Dettifoss og Selfoss: Road 864 is closed, 862 only for 4×4 and closed north of Dettifoss. There is snow in the area, wet and slippery – caution must be shown. Hengifoss: Paths can be slippery in the mornings because of night frost. Esja: Important not to underestimate the elevation gain. At this time of year the trails can be snowy and/or icy and even though the weather is nice at the bottom start, it can be extremely windy and cold in upper parts. It’s important to be dressed/equipped for that. Fimmvörðuháls: It has become cold and wet/snowy on the trail. Autumn/winter is there and bad weather conditions a fact. The huts have closed. A challenging hike and conditions vary a lot on the weather and at this time of year only go there if the weather is very good! Fog on the top and even snow is common which limits the visibility. Snow aleady for some kms at the top. Snow can be very wet and slushy so it‘s more time consuming and hiking poles are recommended. Foot prints in the snow should never be 100% relied uppon. Important to keep in mind that access to water is very limited after the river, on the pass itself. Landmannalaugar: All trails are covered with snow. The hut in Langidalur has closed. Básar (Þórsmörk) is closed and the warden only comes to open for reserved groups and/or at weekends. Volcano Huts in Húsadalur is open year round. The hut in Landmannalaugar will be open until end of October (closed November and December). 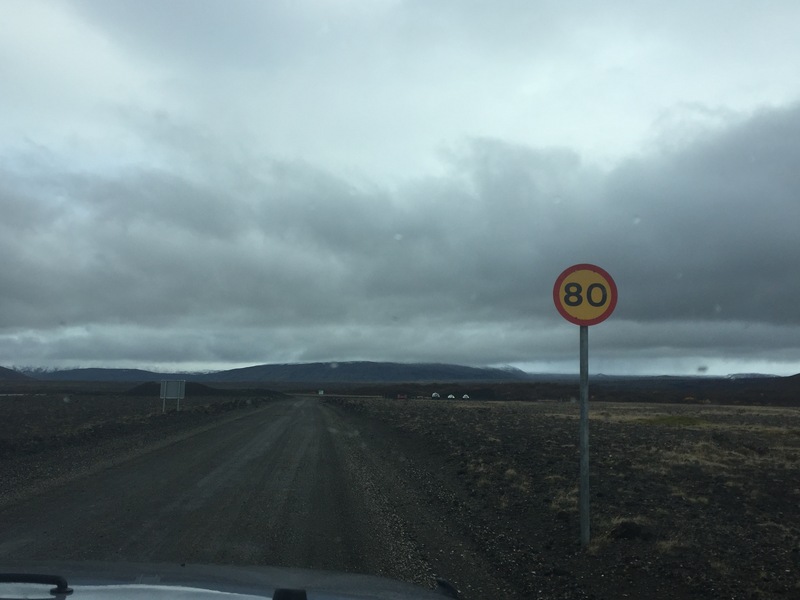 Kerlingafjöll: Road F35 is closed. Snow in the mpuntains. Apart from that, nothing remarkable about the conditions. Ásbyrgi: Walking paths are muddy and slippery. Smaller walking paths will be kept closed until conditions get better. Mývatn: Trails around Krafla and Víti are wet and slippery.